Fabric Online are stockists of fabric upholstery, craft and 100% cotton fabrics, Soft Furnishings & Faux Fur Fabrics. 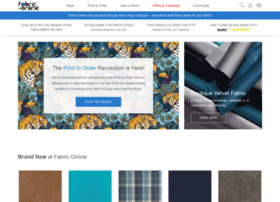 Fabric Online Offer Free samples available. Hosting company: Digital Ocean, Inc.